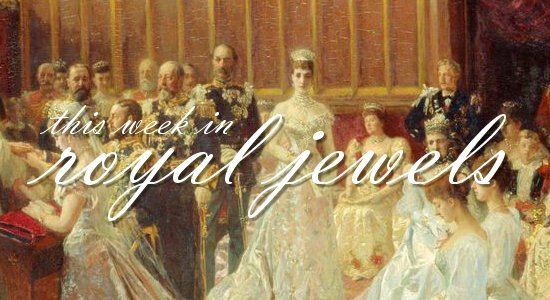 We've got both fun jewelry and major sparkle on tap this week! Don't forget to vote for your favorites in the poll below! 10. 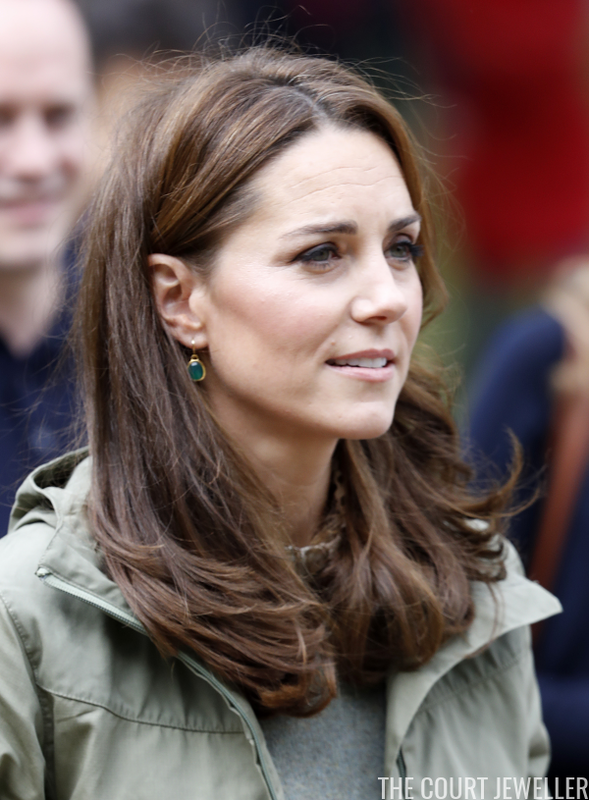 Queen Letizia of Spain wore her Chanel star stud earrings on Thursday for Red Cross World Day in Madrid. 9. 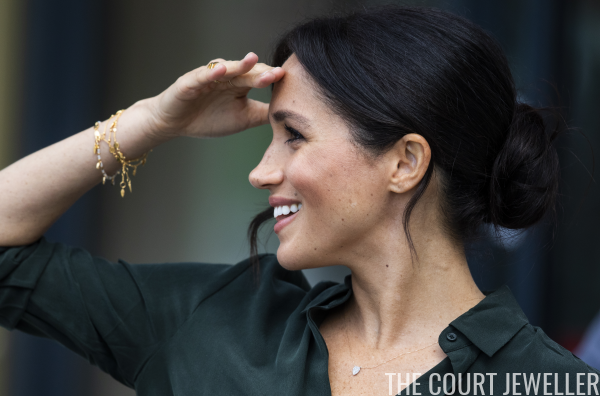 On Wednesday, the Duchess of Sussex sparkled in a necklace with a diamond-studded teardrop pendant, a pair of festive bracelets, and a gold signet ring at the University of Chichester's Engineering and Digital Technology Park during an official visit to West Sussex. 7. Denmark's State Opening of Parliament took place on Tuesday, and all four of the senior royal ladies were in attendance. 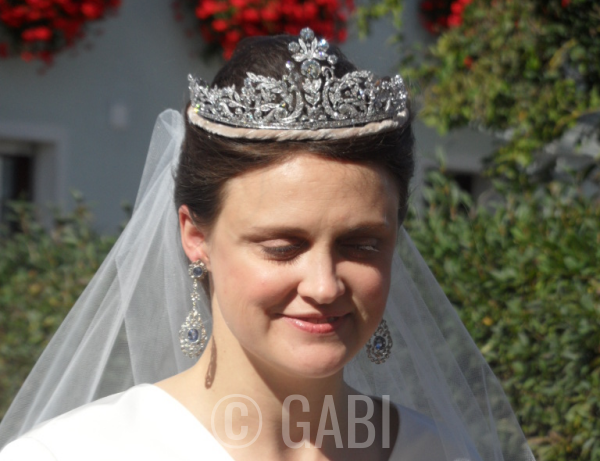 Both Princess Marie and Princess Benedikte wore neutral jewels to coordinate with their outfits. 6. Crown Princess Mary wore classic hoop earrings to attend Tuesday's State Opening of Parliament in Denmark, and Queen Margrethe II wore blue-toned earrings and a modern brooch. 5. 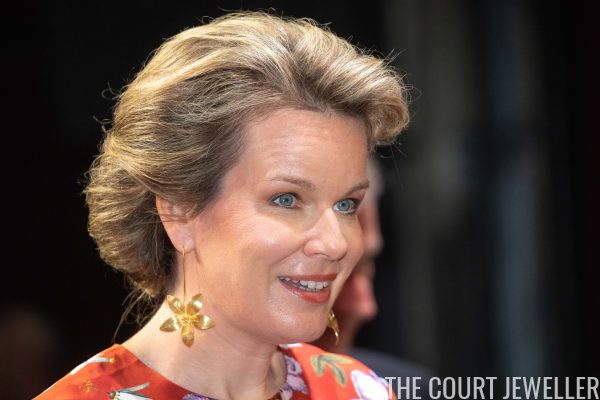 Dramatic golden flower earrings were Queen Mathilde's statement accessory for the King Baudouin Support Council gala fundraiser in Antwerp on Tuesday. 4. 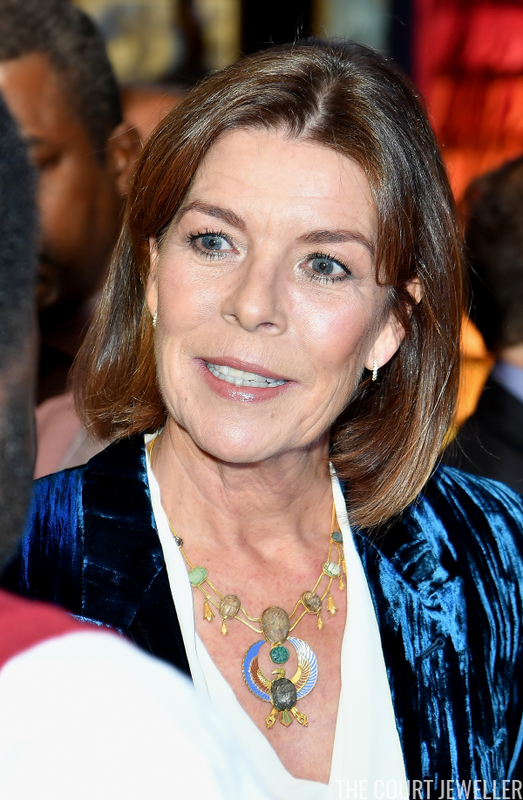 For Tuesday's annual Thank You Gala in support of the the World Childhood Foundation USA in New York, Princess Madeleine of Sweden paired dramatic black earrings with a simple cross necklace. 2. 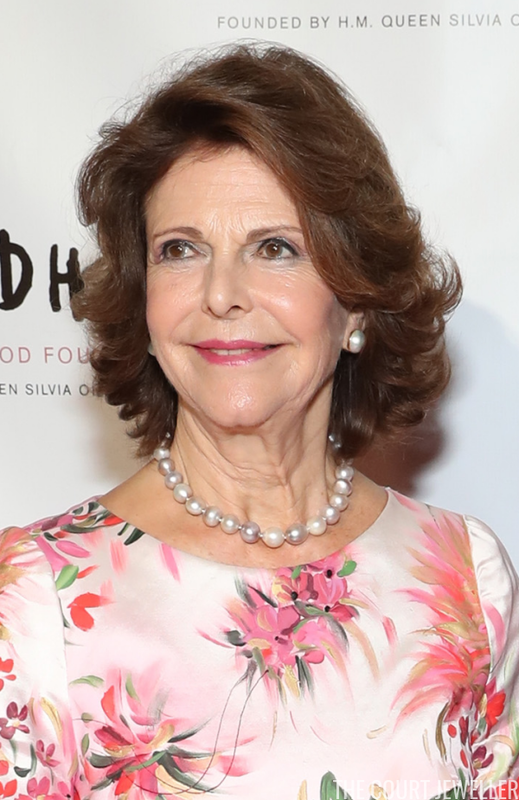 Queen Silvia of Sweden also attended Tuesday's Thank You Gala, wearing classic pearls for the occasion. Image kindly provided by Gabi; do not reproduce!